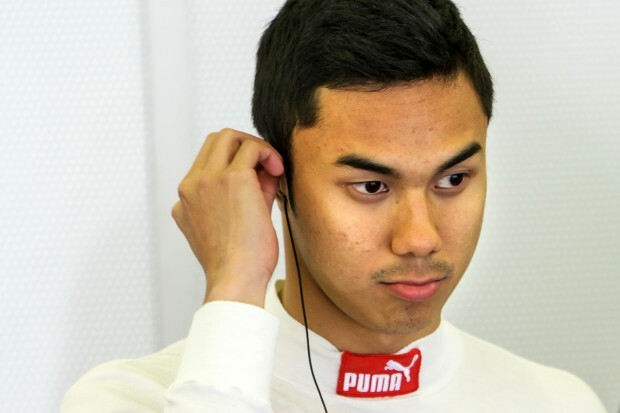 Jazeman Jaafar travels to Russia for the next round of the 2014 Formula Renault 3.5 Series as the championship reaches its midway point this coming weekend. It will be Jazeman’s second visit to Moscow Raceway and after two highly successful race weekends, the young Malaysian will be set on continuing this level of form. The 21 year old driver is keen to return to the driving seat for Moscow. After back to back races at Monaco and Spa, which produced two podiums for Jazeman, his confidence is high and he’s ready to take on the challenge of the Russian track. Jazeman says, “I had two really strong weekends in Monaco and Spa, so I want to take that momentum to the Russian races. Having a three week gap between the races has given me time to prepare for the weekend ahead, although I made a quite trip back to KL as well, so it’s also been a busy time. Moscow Raceway attracted 85000 people for the first visit of the World Series by Renault to the Russian capital and it continued to attract a huge audience last year, so it is expected to be one of the highest spectator attendances on the Series’ calendar for 2014 Designed by famed circuit architect, Hermann Tilke, the man behind the majority of modern day Formula One tracks, it is just under 4 kilometres and has the familiar long straights and twisty sections which are synonymous with Tilke tracks. The Formula Renault 3.5 Series, the headline championship of World Series by Renault, starts with Friday practice, Saturday morning qualifying and race one in the afternoon, followed by race two qualifying on Sunday morning and the second race in the afternoon. Watch the action on Eurosport and check website for times.